Rykki has become quite the confident fleet commander as she led her force down to Sujarento for the fleet. We had a nice little pack of pilots and wandered off into the depths of Saturday evening Eve Online to see who was out and about. 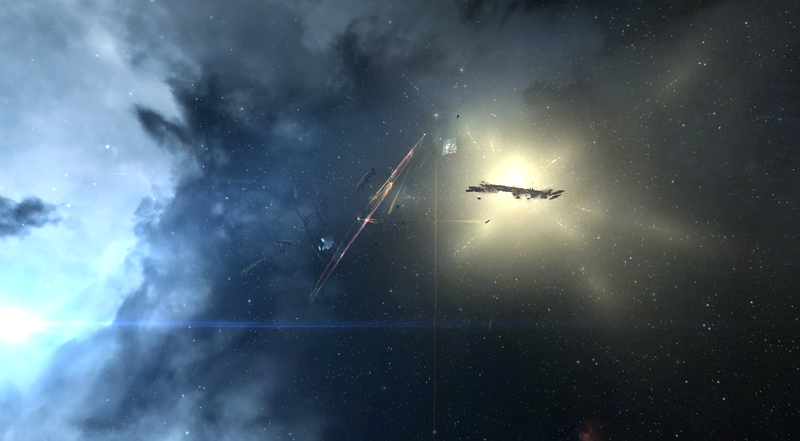 Two solo ganks were followed by some roaming and then news of a battleship fleet. "We'll take that," said Grarr. We landed on them and it was a few Megathrons, a Domi, an Armageddon, some assorted other things and then a cyno went up from a Loki and an Archon jumped in. Cynos are interesting things and how each group reacts to a cyno is again interesting. Our Navy Vexor's could not fight battleships under triage reps. That was okay. 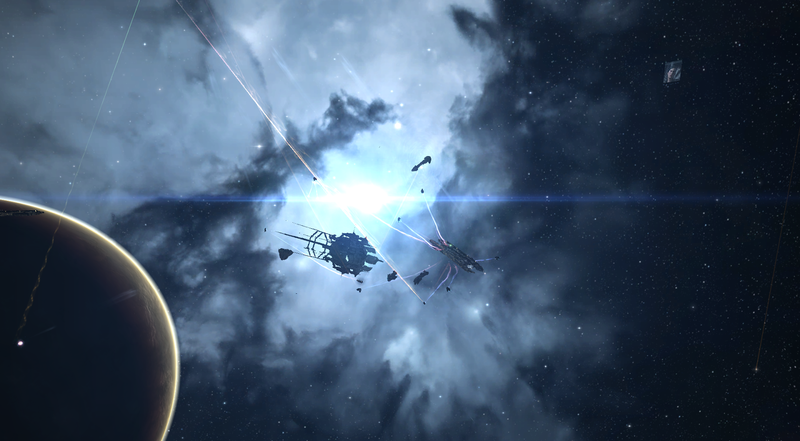 The scent of blood was in the air and battleships were called on our side as a cyno was sorted and a counter drop prepared. In the resulting confusion we lost one of the kittens. It was one of those times when you need to know how to care for yourself. We were jumping gates and picking off the Griffon that was jamming at some 70k off of everything. Once our triage landed we tightened everything up. They were committed, we were committed, and nothing was really dying. That was okay because we had some battleships join in and then things started tipping in our direction. And this is how Rykki got involved in her first capital fight and kill with things dropping all around her, didn't die, and made it back to high sec alive.